Panasonic has expanded its range of projectors with DZ870 and DZ13 series. The first offers the maximum brightness on a computer of a DLP chip, while the second includes a system of 12,000 lumens which is characterized by its compact and lightweight design. 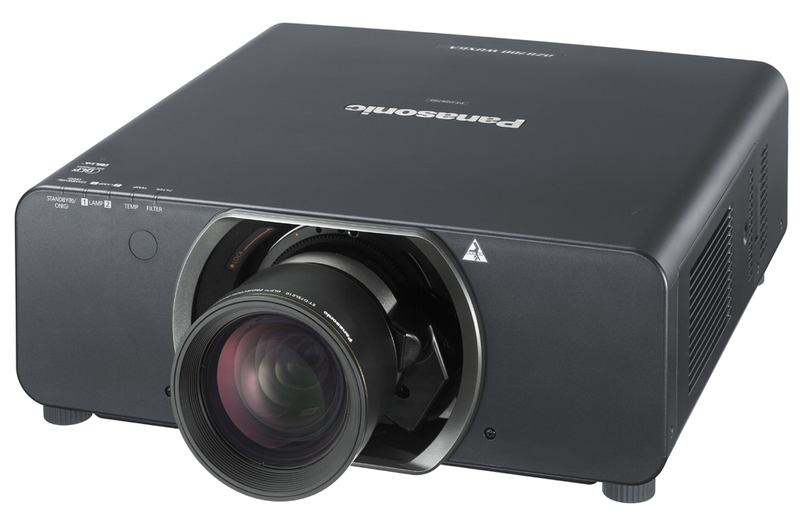 DZ870 and DZ13 series are the latest additions made Panasonic to its range of projectors. Maximum brightness and compact, lightweight design are its premises. The DZ870 series features three models: PT-DZ870, a chip DLP WUXGA resolution with 8,500 lumens projector; the PT-DW830 with 8,500 lumens WXGA resolution; and the PT - DX100 with 10,000 lumens and XGA resolution. For his part, DZ13 series includes four models: PT-DZ13 with 12,000 lumens, WUXGA resolution, the PT-DS12 with 12,000 lumens and SXGA + resolution, the PT-DW11 with 11,000 lumens, WXGA resolution and the PT-DZ10 10,600 lumens with WUXGA resolution. With the addition of the new dual lamp and new light drive system, both the PT-DZ870 series and the Panasonic PT-DZ13 offer a high brightness and contrast in a very compact body, eliminate the interruption of projection due to the failure of the lamp and allow the uninterrupted operation of the projector, through the alternation between the two lamps. Both series are compatible with 3D images in different formats, including frame packing, side by side, top and bottom, line by line and simultaneously. The DZ870 series is compatible with Digital Link, which ensures a very simplified AV infrastructure with high-definition video, audio control signals made by a single CAT5e cable or a cable with a higher specification Ethernet up to 100 meters. With built-in geometric adjustment function, both series extends the creative possibilities of projection, facilitating the projection on screens both spherical and cylindrical or with other special forms. The optional software Geometry Management Pro Version 1.1 allows wider range adjustments and masking features. The flexibility of the applications is improved thanks to the location of the lens, located centrally on the chassis of the projector; the wide range of movement in the motorized horizontal/vertical displacement of the lens and through the installation of 360-degree capability. Both series support mode portrait with an optional lamp allows that the projector can rotate vertically for vertical images.